It seems the more serious one gets in any sport, the more specialized the necessary equipment becomes. Running is no different. I started out by buying a single pair of running shoes, and they were all I would need until they wore out. Fast forward to now and I have tons of shoes, and favourites for short/fast, muddy, steep, technical, etc. With all of these shoes, there is always need for an excellent all around shoe that is great for the everyday run – the kind I do most often. 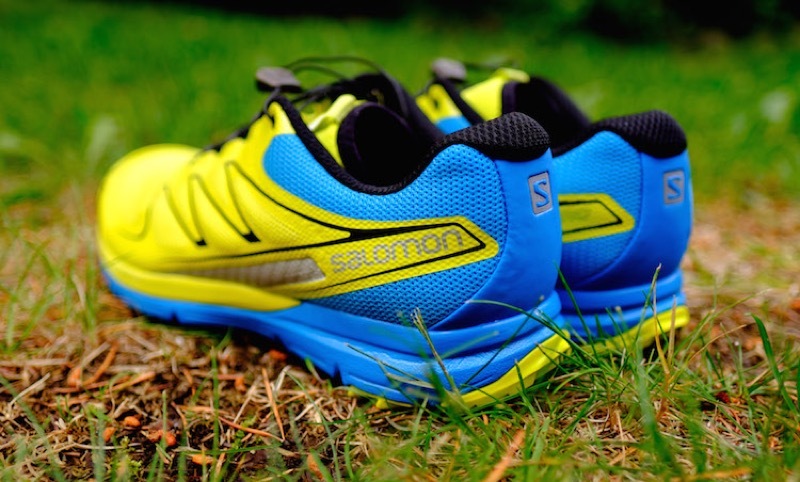 The Salomon Sense Pro fits that bill – an overall solid shoe that can do it most stuff well. 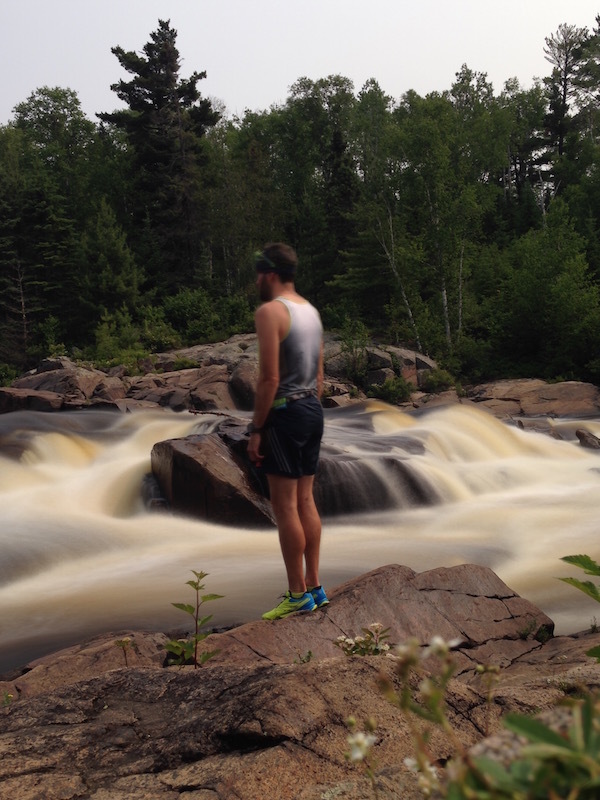 Shoe testing takes me to some beautiful places! This shoe has trickled down from the high end S-LAB sense line, and this version is my overall favourite. The Sense Pro has been tagged as what Salomon calls their “City Trail” line which is meant to be a hybrid type of shoe that can be used on or off road. Generally I am not a big fan of hybrid anything because often times they just aren’t that great at either of the things they’re supposed to do. 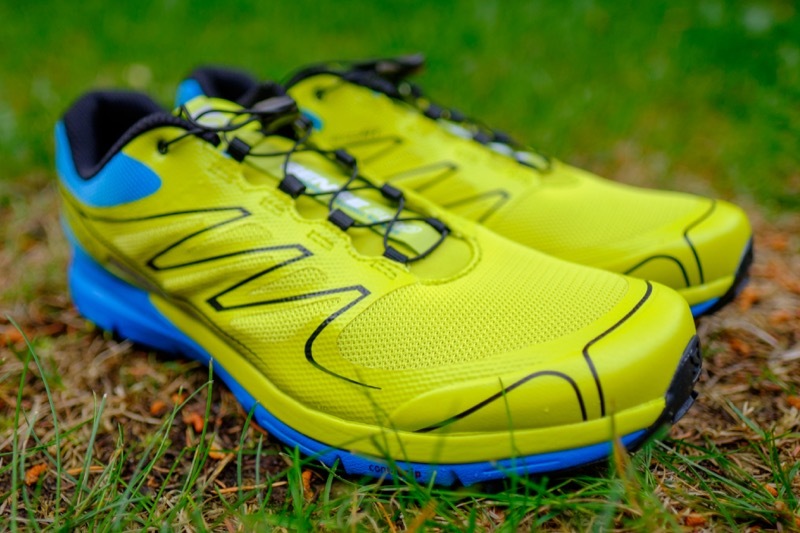 The Sense Pro defies that, at least on the trail side of its split personality. They are a very capable trail shoe on a wide variety of terrain. They’re great in the rocky, technical stuff as well as smoother trails. They are cushioned and comfortable for long distances but still feel light enough to pick up the pace on faster trails. They don’t have the big open lugs of a shoe like the Speedcross, so they tend to slide a bit when things get really muddy and slick. 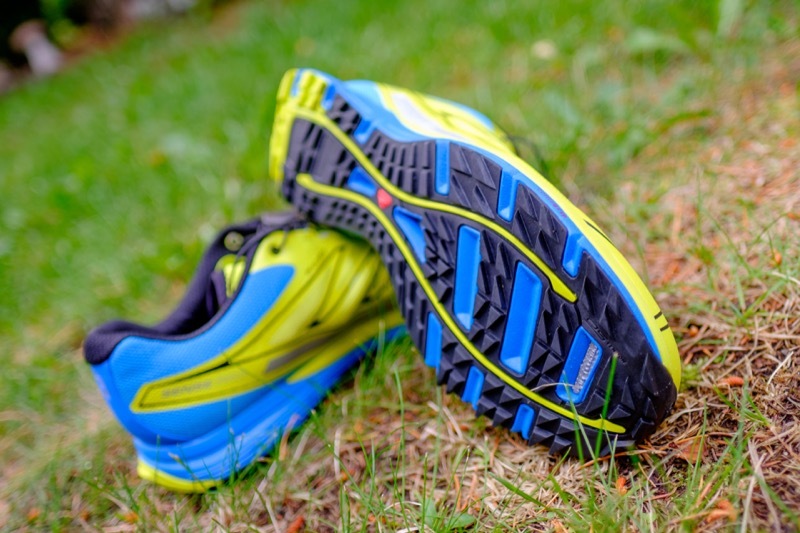 I’ve also used them on the road and found them to be usable to get you to the trails, or between trails, but for a dedicated road run, I would still choose a lighter road shoe. If I was going on vacation and could only bring one shoe, the Sense Pro would be a great candidate. As for specifics, the shoe has a lot that I liked. The fabric on the toe box outer is a huge improvement over some of the other Salomon models. It is much more durable and moves much better as the shoe flexes. It also allows water to easily drain out of the shoe when you get into the deep stuff! Speaking of the upper, it is very well constructed. It includes the Endofit system which is basically a wrap around, lightweight liner that acts like a sock – seamlessly holding your foot inside the shoe. The lacing is Salomon’s standard quicklace, and its been improved with plastic sleeves in the fabric eyelets that allow much easier tightening of the laces – especially once the shoes get dirty. The Sense Pro’s have a 6mm drop, with 16mm cushion in the heel and 10mm in the forefoot. I found the shoes felt quite peppy even with that much cushion, though it was definitely enough to smooth out the pointy stuff on the trails. The tread is great on these shoes – durable, with good traction but still flat enough for smooth trails and asphalt when needed. The one concern I had with this shoe is the durability of the laminated material the provides structure and protection over the outer fabric on the shoe. In the forefoot area I found that it has just started to peel away at the edge, especially where the toes flex. 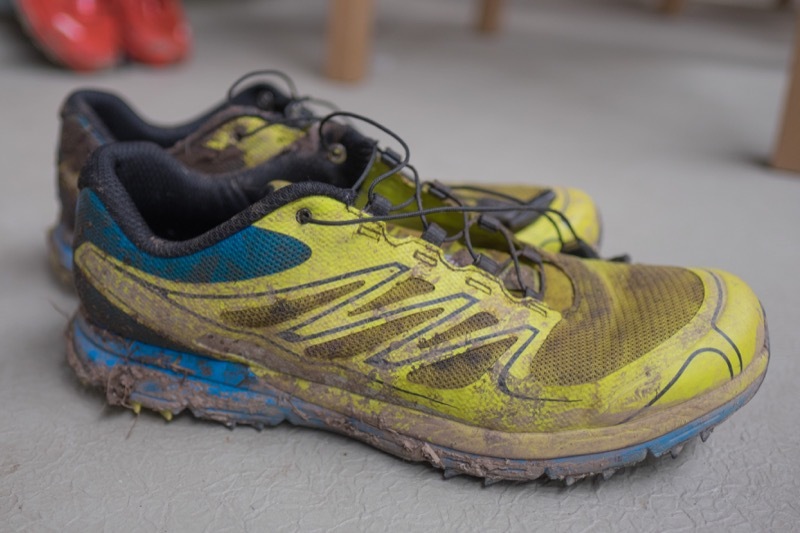 This started after approximately 300km of relatively rough trail running, and certainly didn’t impair the use of the shoes, but is something I will keep an eye on as they get older. Another note, I have used other pairs of this model and others of this construction before and not had this problem show up, so it doesn’t seem to be a common issue. All in all, I have been very impressed with the Salomon Sense Pro. It has been a solid shoe for nearly anything I could throw at it. It has definitely been my most often used shoe for training and racing longer distances. It is great right out of the box, and I’ve recommended it many times to people looking for a great all around shoe.